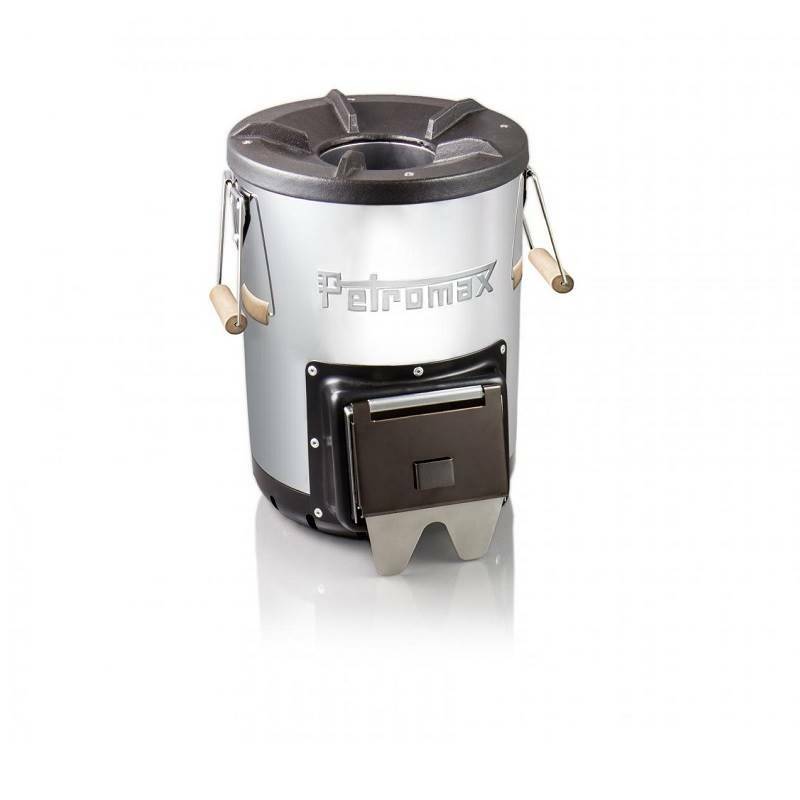 The Petromax Rocket Stove rf33 effectively combines stack effect and wood boiler principles, thus achieving an extremely efficient combustion of biomass thanks to an optimal air supply. The L-shaped design of the fuel support, combustion chamber and chimney vent is crucial here. Wood, fir cones etc. 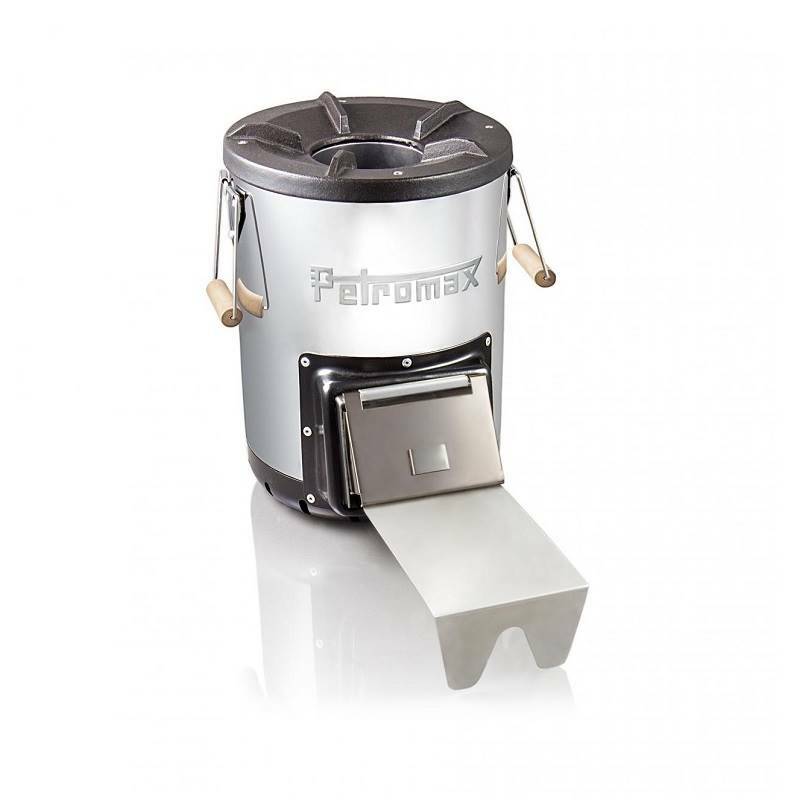 can be easily added through the practical shelf, so that the fire can be optimally regulated. In the combustion chamber the heat is limited to a small space which is protected by the isolated housing. The heat escaping from the vent can thus be stored in the cast-iron top and used for cooking. 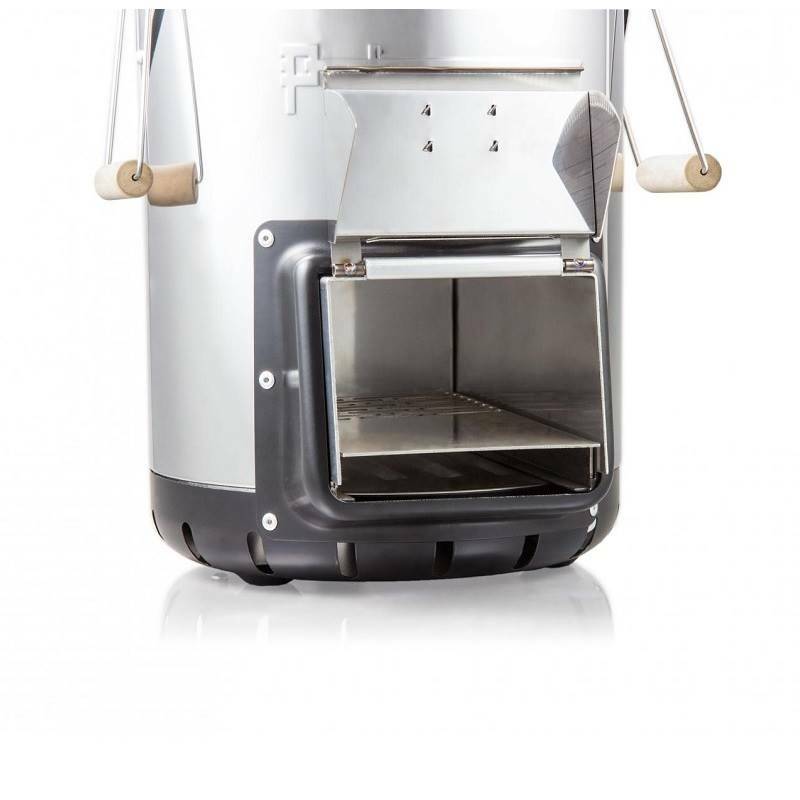 The Rocket Stove rf33 complements the outdoor kitchen as a robust stove with economical combustion. It is sturdy, durable and easy to use thanks to its handles.